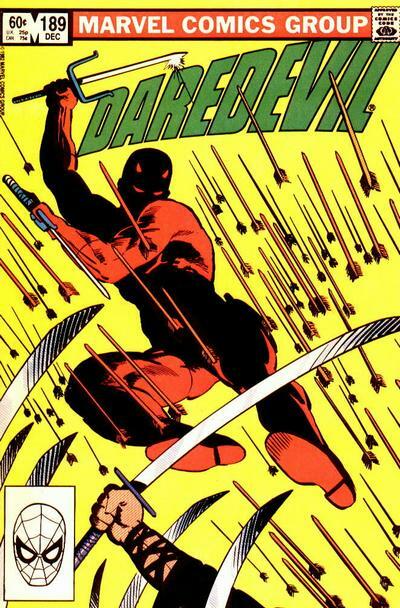 Mike Hawthorne: Daredevil, Frank Miller remix! 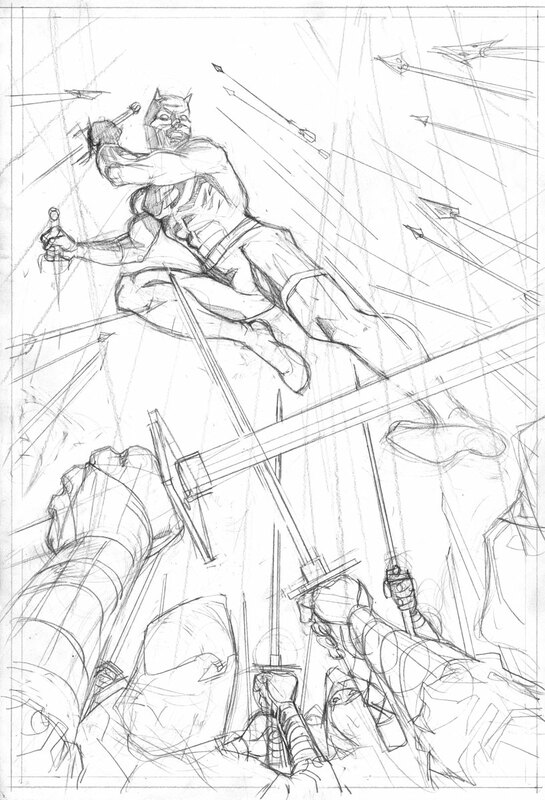 Ok, so I recently got a commission to do a large Daredevil piece. I tossed around the idea of doing a classic Daredevil-over-the-city type of piece, but none of the sketches I did spoke to me. 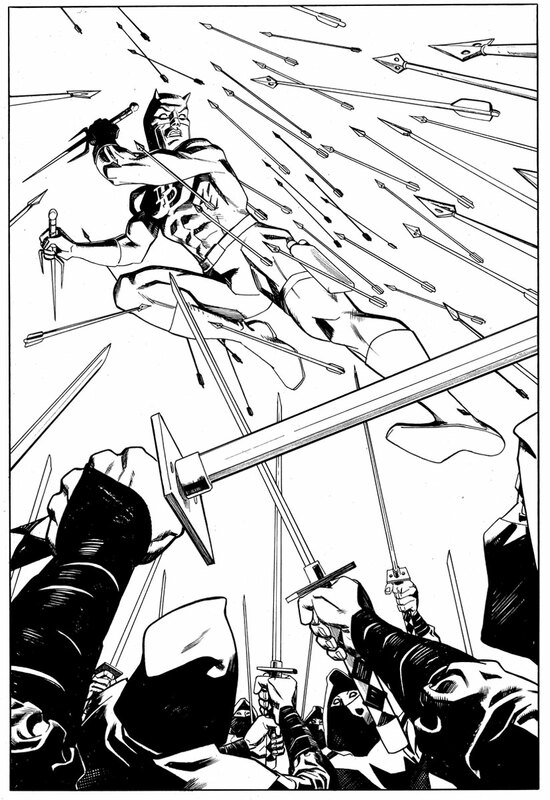 I think it was because in the back of my mind I really wanted to do a companion piece to the Elektra Lives Again piece I did a while back. So I searched around on Google and found this cover by Miller and Janson. I agonized over this thing, but in the end I'm pretty happy. Had a ton of fun on it too. It reminds me of Dave Johnson for some reason (who I’m also a fan of). Though I don't know how all those trained ninja's could miss a big red Daredevil man ithe air with their arrows, it makes for a really awesome composition. Again great job. More remixes please.